Music for relaxation peace & comfort. 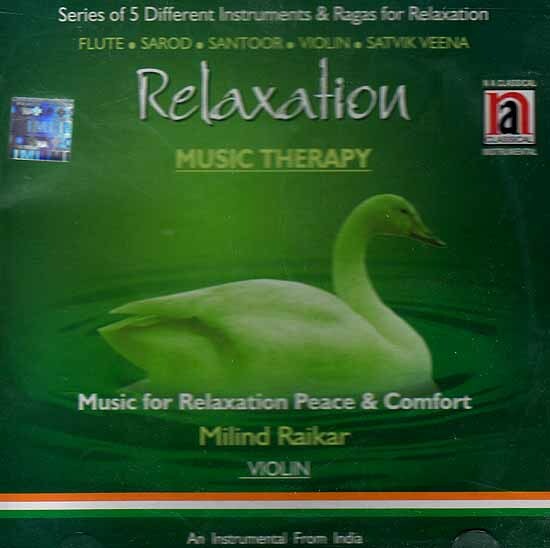 Series of 5 different Instruments & Ragas for Relaxation: Flute, Sarod, Santoor, Violin, Satvik Veena. Bhimpalasi with its koal gandhar and komal rishad has a prayerful mood. The violin enhances the mood through subtle applications and modulations of the note. Hansadhwai has a cheerful mood which contributes to the relaxation of senses. The shuddha notes of Hansadhwani spread benefited by the music therapy properties of this CD. He has rendered the tone of Goan Folk music which he attractively blends with other folk tunes as requested by the advisory committee (1986) of Indian music Kala Academy, Goa at the time of scholarship.